PURE TRASH is a short story about bullies, both in the traditional and non-traditional sense. It may redefine your concept of bullying. Torment, persecution, intimidation...These are a few descriptors of what those who are considered "different" in some way may suffer. For Shawn and Willie, their "difference" is based upon the social status of the dysfunctional family, the alcoholism and the abject poverty in which they grew up. The boys are bullied by both children and adults who look down upon them. Yet, through it all, Shawn and Willie Daniels manage to make the most of life. My Review: Pure Trash is unlike any story I've read. At first, it reads like a memoir from Reminisce Magazine, but as the story unfolds, I connected with the characters at a deep level. The author explores prejudice, class division, alcoholism, poverty, injustice, and bullying. It's a story all audiences over the age of ten can enjoy. While reading this story, the reader will experience the joy of a carefree Saturday and the blistering pain of feeling not quite good enough. 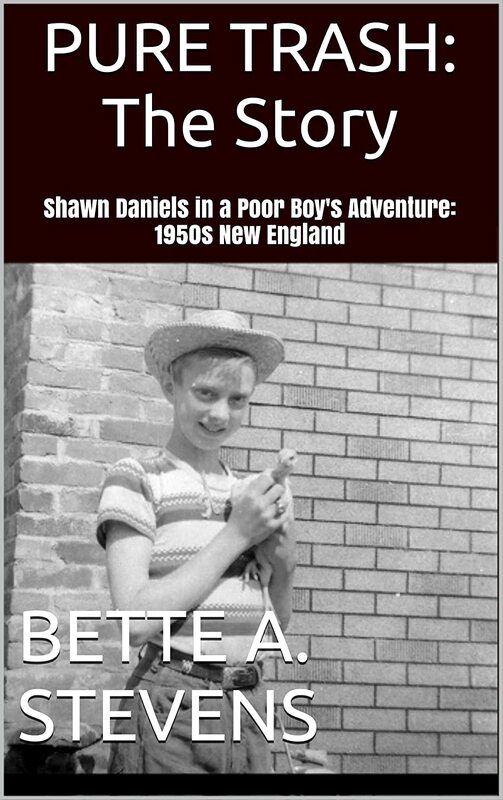 The heartbreaking innocence of the main character, Shawn, and his younger brother, Willie, will touch your heart as you realize these children are not quite as innocent as they seem. They're no strangers to intolerance, and the cruelty of others isn't lost on them. They're old enough to feel society's derision, but still young enough to harbor hopes that things can change. They're young enough to take pleasure in the simple things in life--pocket change, a sackful of candy, the freedom of reaching great heights on a swing. Hypocrisy is another theme in this story. When Shawn seeks help from the seemingly kind, gentle pillar of the church community, the reader is exposed to the ugliness that hides behind what society considers "quality." When help is given grudgingly, it isn't charity at all, especially when that help is accompanied by a cruel declaration that the boys are nothing but trash. Pure Trash is a worthwhile, meaningful, beautifully written story I'd recommend to readers of all ages. If you'd like to learn more about Bette Stevens and Pure Trash, please check out my interview with the author HERE. Thanks so much for the thoughtful review, Tricia! I'm off to share it... Have an amazing weekend!